Guess what we are doing today? That’s right! 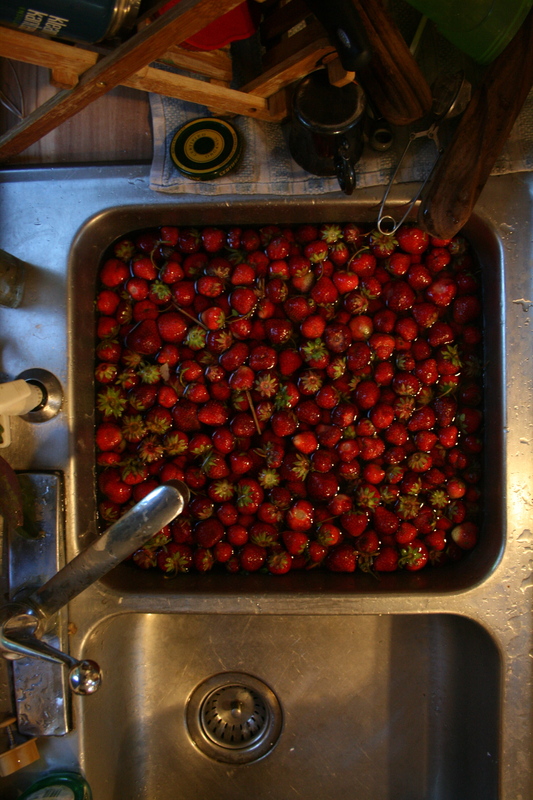 Processing those ruby red juicy berries from our days work at Cedar Circle Farm yesterday! Vanilla bean strawberry jam from this blogger’s awesome book is on the agenda today… and only about 20 pounds more to go! Phew… I have some sunflower seed sourdough rising. I think the combination will be just the thing for this foggy, humid, rainy day. This entry was posted in food, food preservation and tagged cedar circle farm, food in jars, pick your own strawberries, strawberry jam, strawberry picking in vermont. Bookmark the permalink. ← Boys will be boys and girls will be girls?